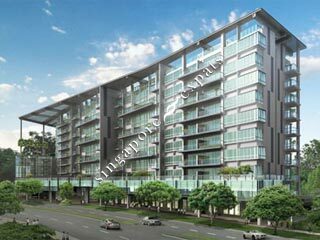 SUITES AT ORCHARD is located at 38 HANDY ROAD in district 09 (Leonie Hill, Orchard, Oxley) of Singapore. SUITES AT ORCHARD is a 99-year Leasehold Condo development consisting of 118 units. SUITES AT ORCHARD is completed / TOP in 2015 (estimated), developed by PROPERTIES LIMITED. Educational institutions like INSWORLD INSTITUTE, CHATSWORTH INTERNATIONAL SCHOOL (ORCHARD), JEWELLERY DESIGN & MANAGEMENT INTERNATIONAL SCHOOL, ST. MARGARET'S PRIMARY SCHOOL, ANGLO-CHINESE SCHOOL (JUNIOR) and RIVER VALLEY PRIMARY SCHOOL are near to SUITES AT ORCHARD. SUITES AT ORCHARD is accessible via nearby DHOBY GHAUT, BENCOOLEN and BRAS BASAH MRT Stations. Luxury Living in City Centre with easy access to prime city, groceries shopping, dining options, schools, amenities and excellent accessibility.